What a perfect way to celebrate the start of spring here in Aussie? This month we have a gorgeous giveaway compliments of Sandrine Marsh Accessories. 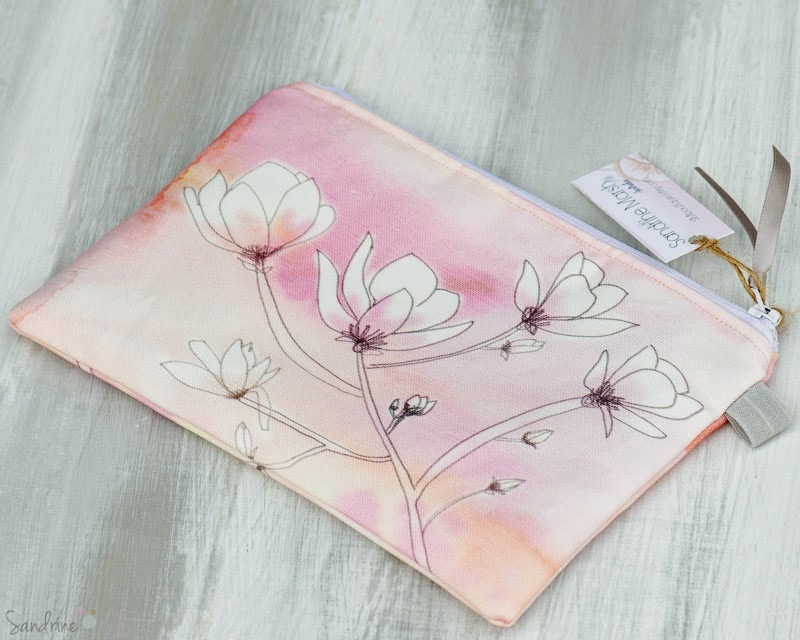 This beautiful and eco friendly cosmetic purse features a pink watercolour and magnolia drawing. Made from a linen blend and lined with unbleached raw cotton. Handmade loveliness! So get your entry in now by following 'i do' it yourself or Sandrine Marsh Accessories on Facebook. Easy.